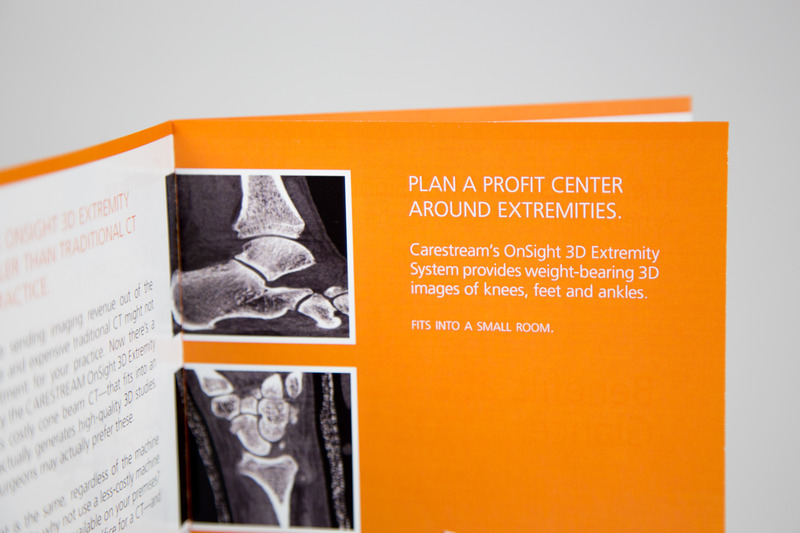 The CBCT Extremity Room Box was mailed to orthopedic practices and imaging centers across the U.S. to demonstrate how an 8′ x 10′ exam room could be transformed into a profit center with the new Carestream CBCT Extremity System. The box was instantly eye-catching upon delivery due to its clear shrink wrap that displayed product use shots and enticing copy focused on increasing revenue. 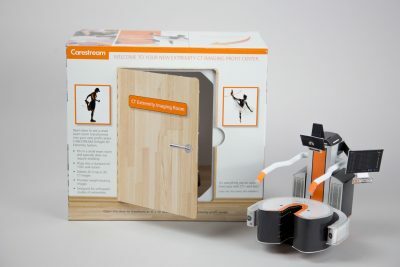 The front of the box featured artwork of the outside of an exam room door that could be opened to reveal a removable miniature model of the CBCT system made completely out of paper. Artwork on the model spared no details, including high-resolution screens that mirrored projections from the real displays. 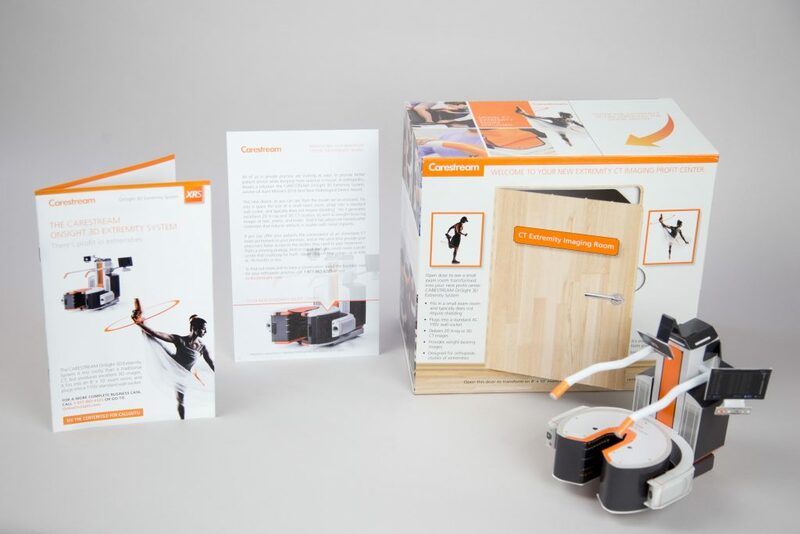 A folder adhered to the backside of the box included a personalized letter and product brochure. The brochure included more benefits about the system, a call-out page pointing out each feature, and a business case outlining the return on investment depending on practice size. 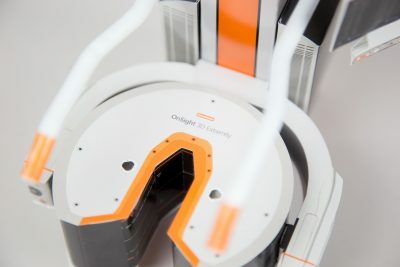 The direct mail package proved to be a powerful influencing tool that intrigued and primed our target audience for successful follow-up calls during lead qualification. This multichannel campaign also included multiple email components, dedicated landing pages (depending on whether the recipient was from a private practice or imaging center), social media support through Facebook and Twitter, plus a blog post and follow-up outbound telemarketing. The campaign was proven effective through successfully converting 1 out of every 4 respondents into a qualified lead. 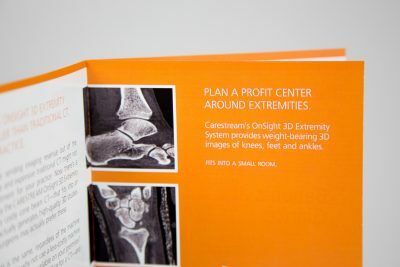 In order to fulfill a need for dedicated content that supported the value-proposition for imaging centers, Verdi created a miniature 12 page eBook to use as an offer on the landing page. 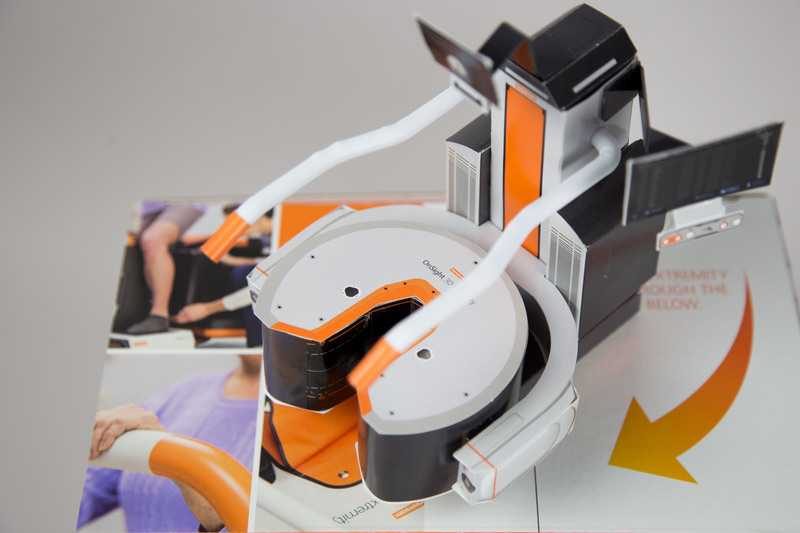 Visitors could access the digital resource to find information on not just the clinical benefits, but how the product could help their imaging center attract more business and revenue. The eBook also offered a sample letter to invite referrals to experience the extremity imaging service. Engagement results totaled 179 views from 92 unique readers with an average of three minutes spent per reading session.